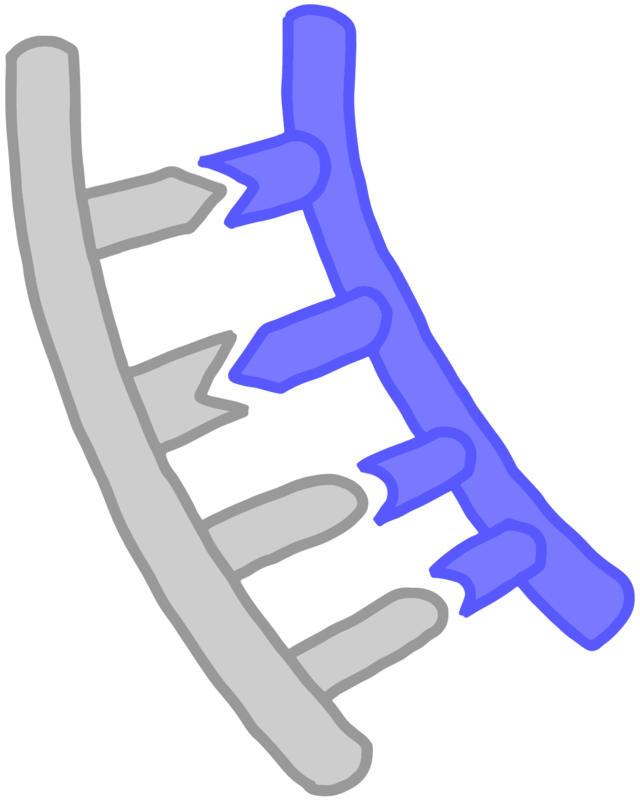 A string of connected nucleotides; can be DNA or RNA. Two strands of DNA can zip together when complementary, bases match up to form base pairs. DNA typically exists in this double-stranded form, which takes the shape of a twisted ladder or double helix. RNA is typically composed of just a single strand, though it can fold up into complex shapes.